Could US jets fight in Syria? 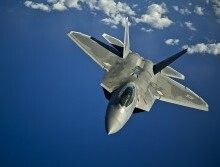 Photo Courtesy of U.S. Air Force photo/Tech. Sgt. Michael Holzworth. If you enjoy playing with dominoes, you know that a carefully laid out pattern of the toys can make quite an impressive display once the first one is knocked over. One after another, dominoes fall at racing speed. Similarly, if you’re a history buff, you may recall that World War I began when a random member of European royalty was killed. Like dominoes, one incident quickly led to another that started the largest war the world had ever seen. Photo Courtesy of U.S. Air Force photo/Tech. Sgt. Michael Holzworth. Two cars reportedly blew up in Turkey on Saturday, killing dozens. And you should care, because it is increasing the chance for Middle East war, all while helping the bad guys win. It’s true, we don’t want terror to succeed, but sometimes terror wins. On Saturday, Syria managed to use terror to create real second-guessing by Turkey of their support for the Syrian rebels fighting a brutal dictator. And that’s bad for all of us. There’s actually good news in the Middle East this week, and it’s directly affecting you. 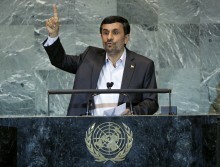 Iran is worried about oil prices, and that’s great for your bank account and your safety. To hear more, click the link below. 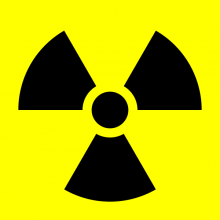 Radiation Warning Symbol. Public Domain. 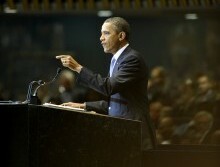 The latest countdown to red lines on Iran’s nuclear progress is officially up and running. Just last year, Netanyahu said the world needed to act by this summer, lest Tehran cross thresholds in its nuclear program that would make it nearly impossible to prevent them from developing an atomic weapon. Stay informed! Enter your email address to receive notifications of new posts by email.